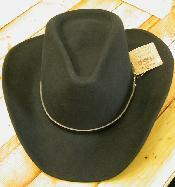 True old style western hat, with a gros grain ribbon hat band. 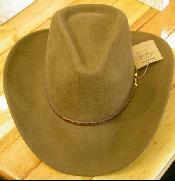 Classically shaped hat in a dusty brown. 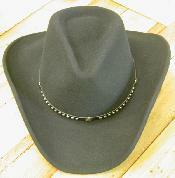 This one in black has a simple leather hat band. 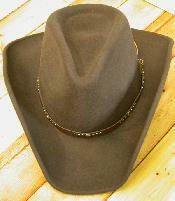 Featuring a simple hat band and an adjustable wire brim. 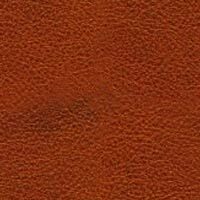 Easy wearing crushable hat. 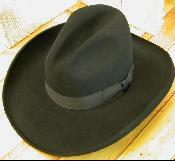 The brim has a wire so you can shape it any way you want.